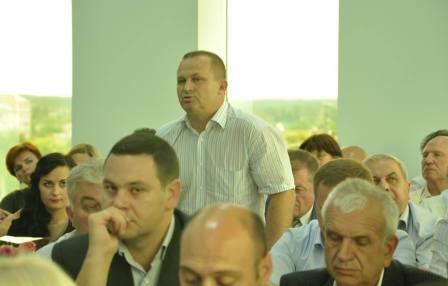 On June 20, 2014 the meeting of the Academic Council of Vinnytsia National Agrarian University took place. 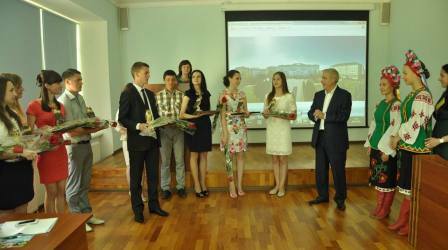 It was started with the review and approval of the resolution about the Presidential award for the best students in the category - "The best student of the faculty" and "The best student of the college". 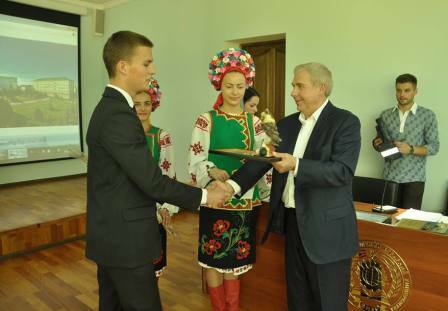 President of VNAU Grygorii Kaletnik emphasized: "We're glad of our students’ achievements and wish in our university study more and more of such beautiful, talented, patriotic students. 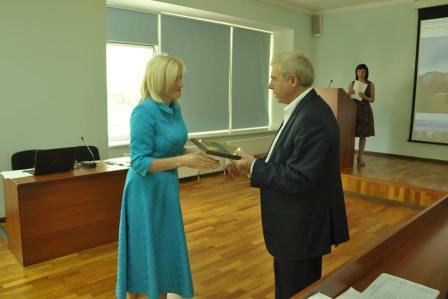 The new head of Vinnytsia Regional State Administration Anatoliy Oliynyk who was in our university today was delighted with our students, teaching staff, learning facilities. This fact indicates that today we have chosen the right model of development of educational and scientific process and upbringing of students. In comparison with others we really have something to be proud of." 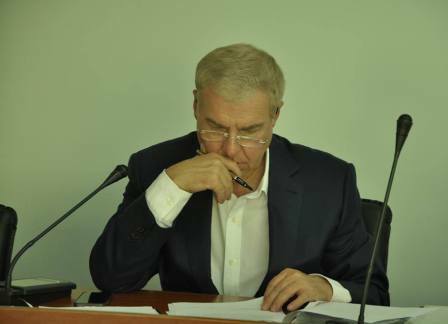 Members of the Academic Council, by secret voting, had expressed their confidence by electing to the positions two professors and 10 heads of departments of the University staff. 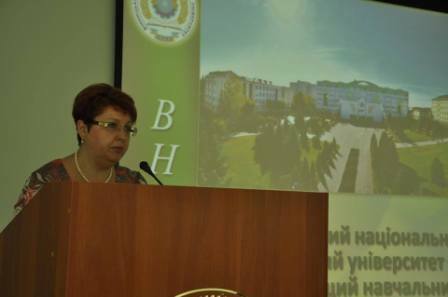 The pro-rector on scientific, pedagogical, educational work and humanitarian policy Olga Melnychuk made a report on the state of the educational work at the university and ways of its improvement. 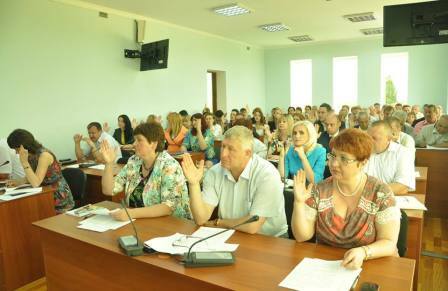 The plan of the educational work in the University for the next year was approved. Its purpose is to provide spiritual and cultural education of students, improve the efficiency of the educational process through the involvement of the student government. 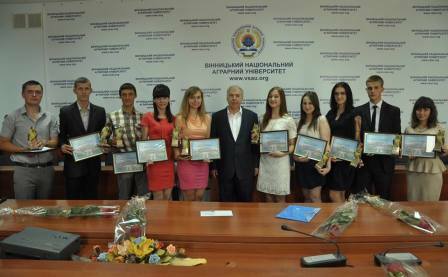 There was discussed and approved the list of students offered to receive scholarships of the President of Ukraine, the Cabinet of Ministers, the Parliament of Ukraine and others on the results of the spring semester. 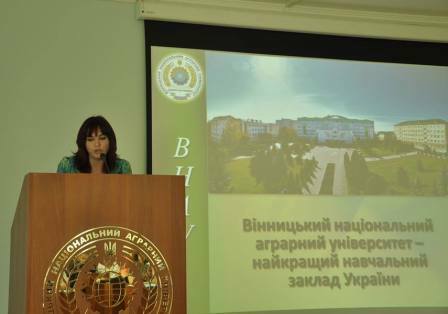 The pro-rector on scientific and pedagogical and educational work Irina Gunko made a report on the way of improvement of the structure of educational units of the faculties. Also there were reviewed and approved the work curricula and the curricula for 2014-2015 educational years, offered by the head of the teaching department Olha Darmohray. 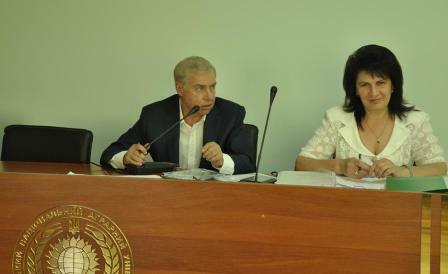 Members of the Academic Council unanimously supported the proposal to open the postgraduate study in the specialty 16.00.06 - Animal Hygiene and Veterinary Sanitation and several other current issues of the agenda. 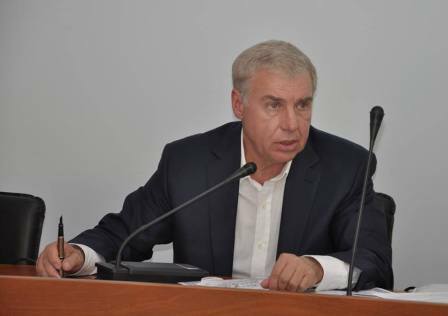 Finally, the President of Vinnytsia National Agrarian University Grygoriy Kaletnik turned to colleagues that during the summer holidays the teaching staff and student should work jointly in taking care of the territory of the campus and native Alma Mater. 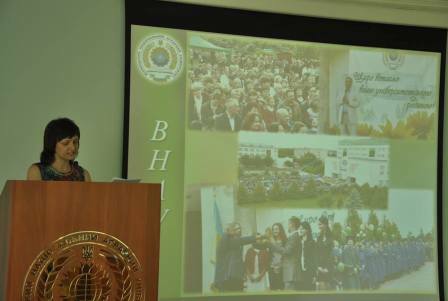 He said: "Today we should work successfully in order to realize the full potential of our organizational, mobilizational, educational and career guidance in order to see good results in the introductory campaign. We should understand that today we must save expanses. We need to take care of our university and gain everything by ourselves. Only someone who knows how to work with his own income, has non-standard, creative approaches, plans and ways to implement them is able to survive in this very difficult situation."